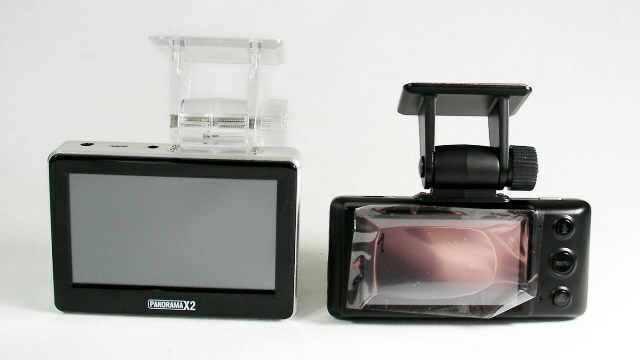 The Panorama X2 dashboard camera is manufactured by the Chinese company Shenzhen Onstar Technology Co. Ltd. 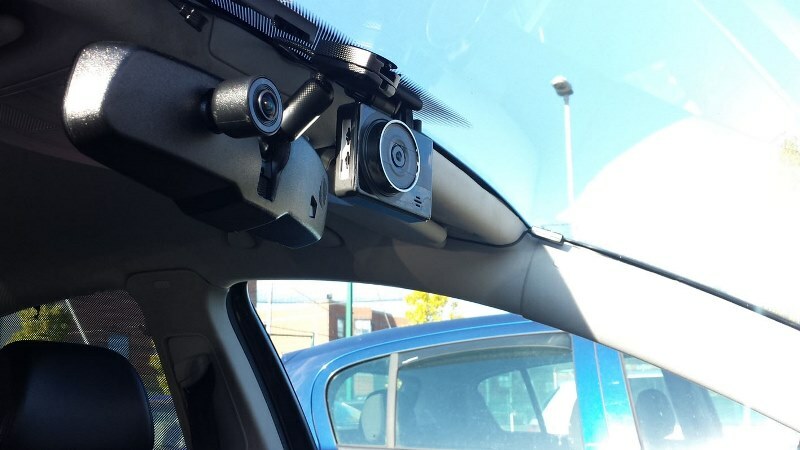 This is a dual channel camera that has one of the most powerful specifications we have seen in a dash camera. 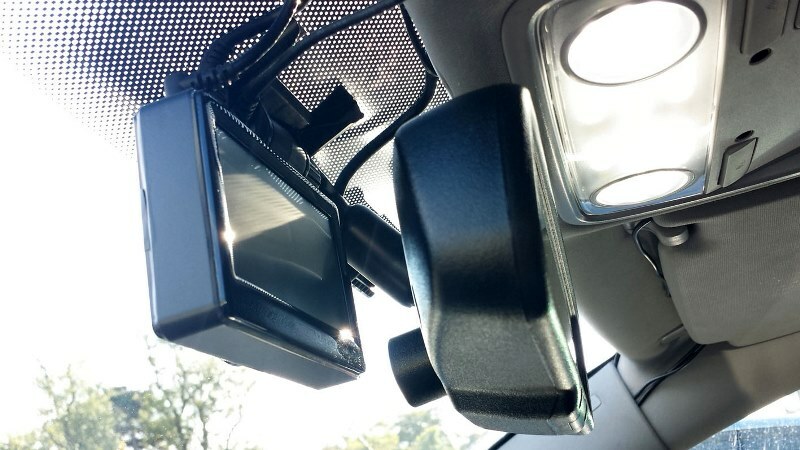 Unlike most dual dash cams that have 1 CPU for both cameras, the X2 has a separate Coach 12 processor for both the front and rear cameras. Another impressive feature is that the X2 uses the Sony Exmor IMX322LQJ CMOS Sensor for both the front and rear cameras. This combination allows for 1080p recording at 30fps for both cameras, one of the few dual cameras with this capability. 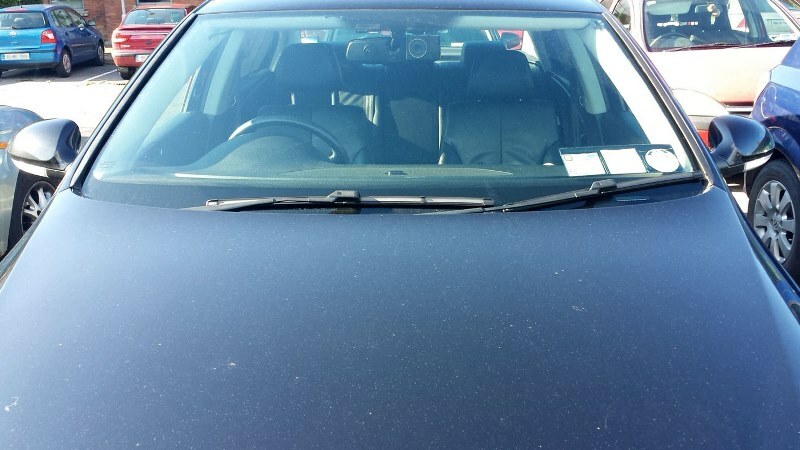 Parking mode records 4-5 seconds before motion is detected and for 13-15 seconds after motion is “gone”. Each camera records motion detection footage separately. 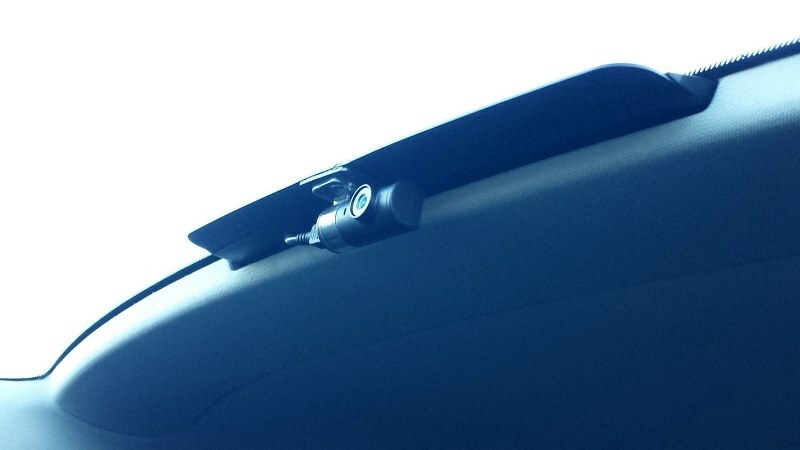 For example, if there is a motion detection in front of the car, it only saves video file from front camera. Both cameras currently have a bit rate of 15Mbps bit-rate (may be user adjustable in future firmware). 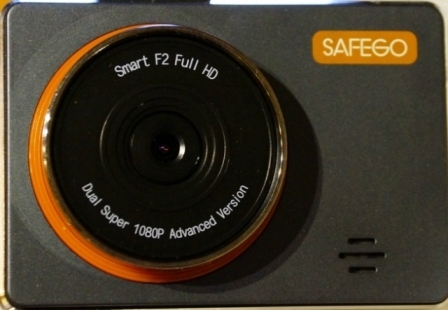 This camera has excellent video quality during the day and good video quality at night for both cameras. One of the better dual cameras for video quality available now. The biggest drawback is the large size of the front camera at 96mm x 66mm x 33mm. 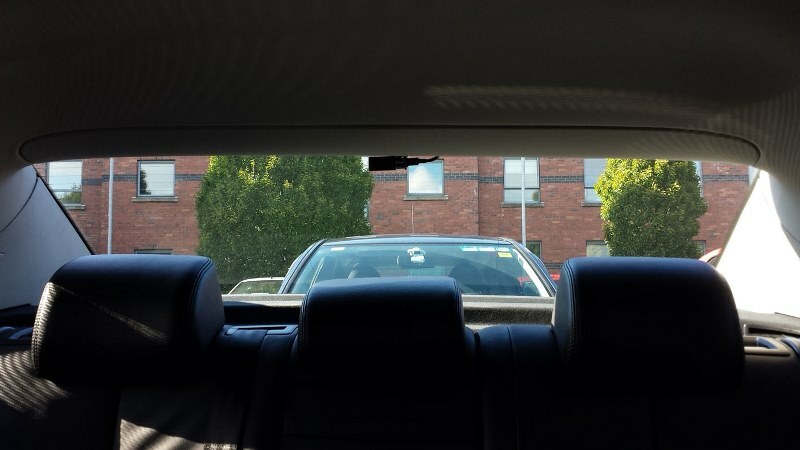 The rear camera is much more discreet. 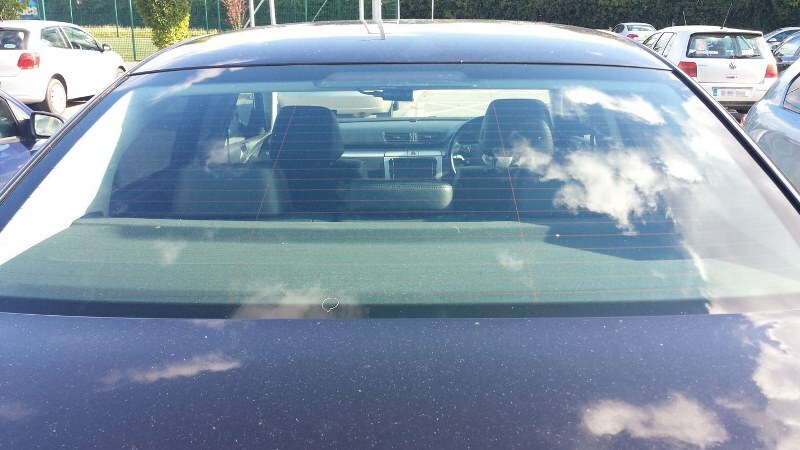 The Panorama X2 was designed to be used for parking mode and no cigarette lighter supplied. A 3-wire hardwire ( battery, acc, ground) is provided and this is typically connected to the fuse box. We would like to thank our member niko, who provided the initial information for this review. You can read the original thread in our forum. A Chinese version of this model sells as the Safego F2. While they are quite similar, the Safego version may be using lower quality hardware components and is targeted to the Chinese market. However price is significantly less. For people on a budget, this might be a reasonable option. More information can be found here. Our member niko has provided an overview of the menu interface in this video. 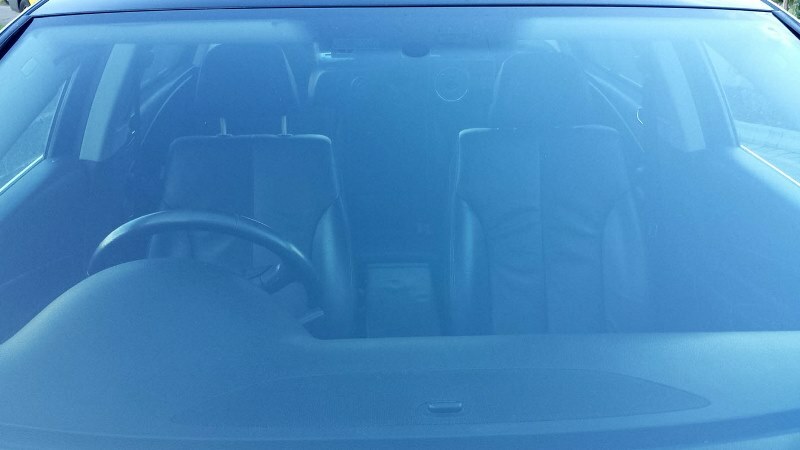 Some owners have indicated that the camera freezes and a gray box appears. This typically occured with 64GB or larger microSD cards. Firmware 1.01.09 and newer have native exFAT formatting support for microSDXC which should resolve this problem. Some of the early cameras have had an unfocused / blurry picture for either the front or rear camera. Some owners have manually refocused the cameras, but this will void the warranty. The following video shows how to refocus the rear camera. Some owners have indicated that there is an occasional high pitched buzzing noise when recording. This does not happen always and not all owners have indicated this problem. 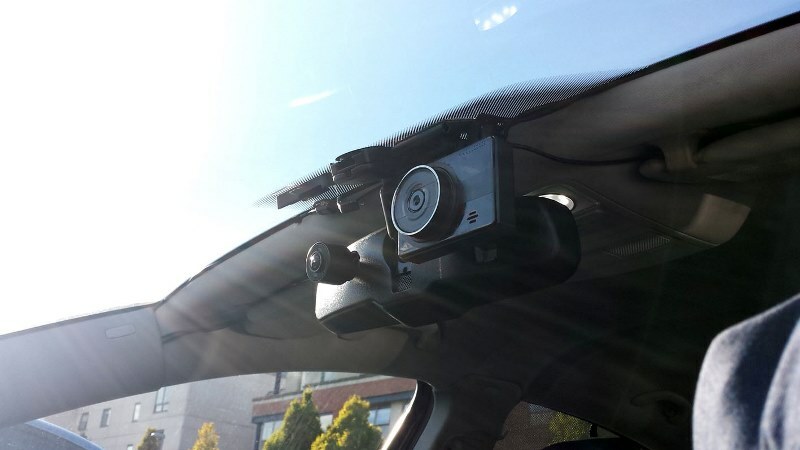 It may be a result of the rear camera or cables being too close to car antenna or other objects emitting interference. 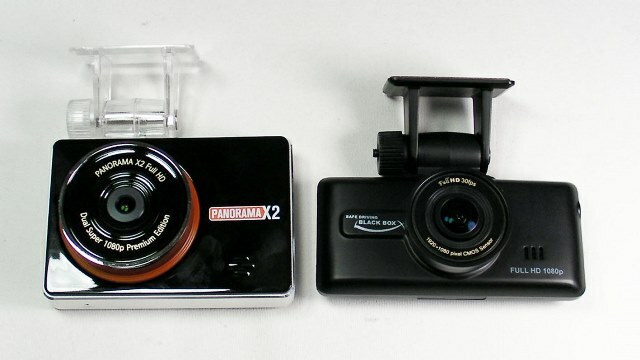 The Panorama X2 is not the most discreet camera due to its size and “bling” on the front of the camera. 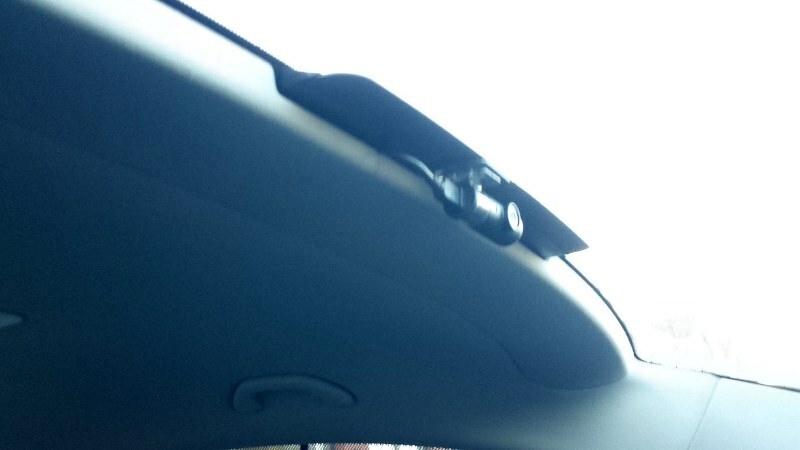 Our member niko provided some examples of making this camera more discreet. 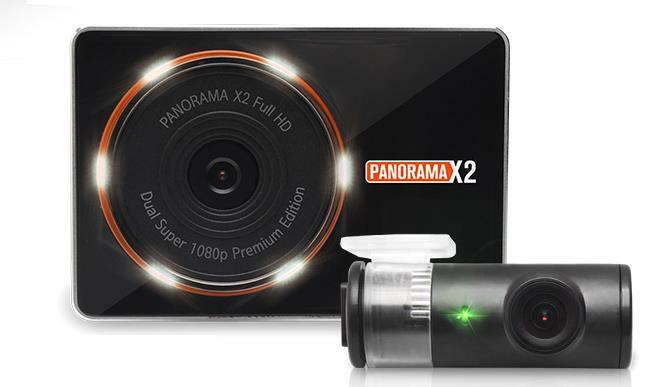 The Panorama X2 has great specifications for a dual camera with 1080p recording for both the front and rear. The camera has excellent video quality during the day and good video quality at night. 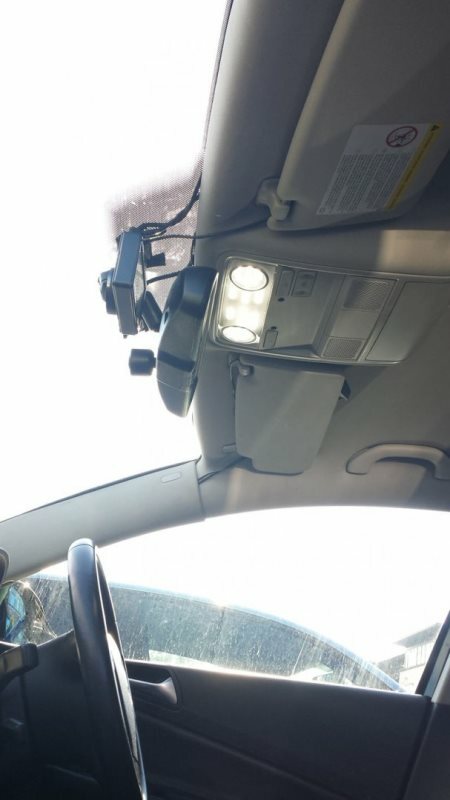 It also has all the features of a high end dash cam (with the exception of WiFi). The manufacturer provides decent support via firmware updates to address issues. The $300 price tag is also reasonable for a high end dual camera. 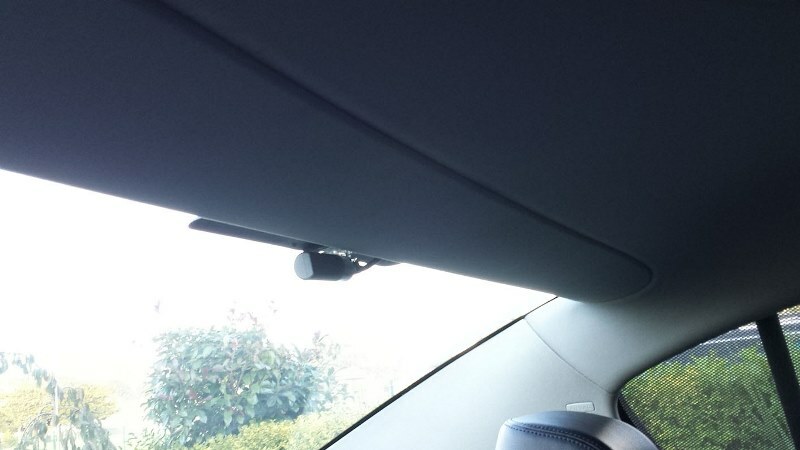 With that being said, the front camera is large and not the most discreet. Also, the firmware is still not fully mature but has improved since the camera was released (stability is still an issue as of April 2015). We are hoping the focus issue has been corrected (have not confirmed yet) as well. Overall, this is definitely one of the better dual cameras available on the market today and should be a consideration when looking at high end cameras. Watch the progress bar fill up, when it’s done it will shutdown / reboot. Below is step-by-step video on how to update a firmware on Panorama X2 created by niko. Note: This video was created before the latest exFAT support. You’ll notice this video asks you to format the cards in the computer first. After 1.01.09 or above, there is no need to format cards in your computer any more. Just follow the video example so you know what to look for using the steps above. Final Word One of the better dual cameras available today but front camera is too big.